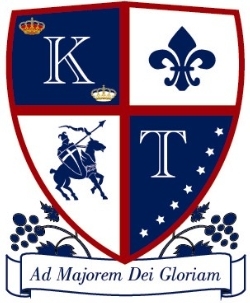 It is the mission of the Trinity Prep Athletic Department, as a Catholic school loyal to the Magisterium, consecrated to Mary, and committed to proclaiming the sacredness of all human life, to provide student-athletes the opportunity to grow and achieve in an athletic forum to further enhance their education. In cooperation with the Principal, faculty and parents, Trinity athletics forms student-athletes in the fundamentals of teamwork, trust, respect, and love with a commitment to God, Family, and School. Trinity expects student-athletes to be positive examples in the classroom, athletic venues, and community, while pursing excellence in all areas of life.